There are a few keys elements every couple looks for in their honeymoon: romance, relaxation, beauty, adventure and good food. Bali checks off all the boxes. 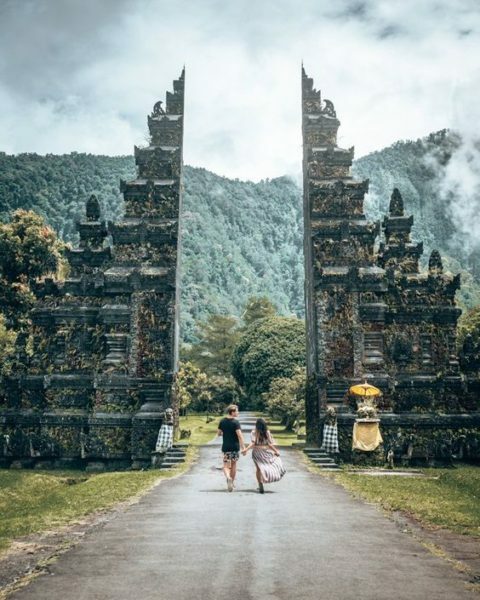 It’s no wonder Bali, Indonesia, is the number one honeymoon destination for couples in 2019. After visiting more than 30 countries, I can honestly say there’s no place more romantic than Bali! 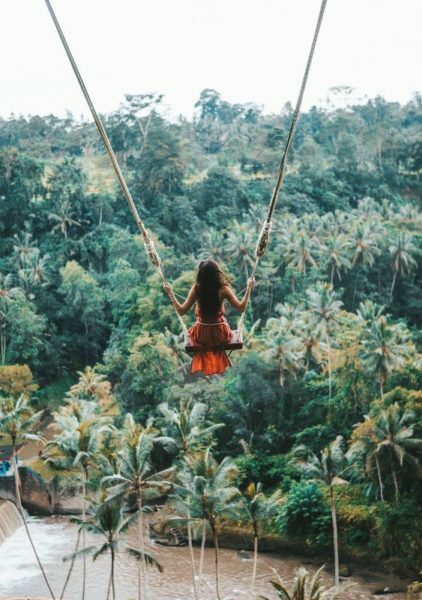 If you and your sweetheart want to visit this gorgeous area of South East Asia for your honeymoon, here are some tips. The first step, before planning any trip, is research. 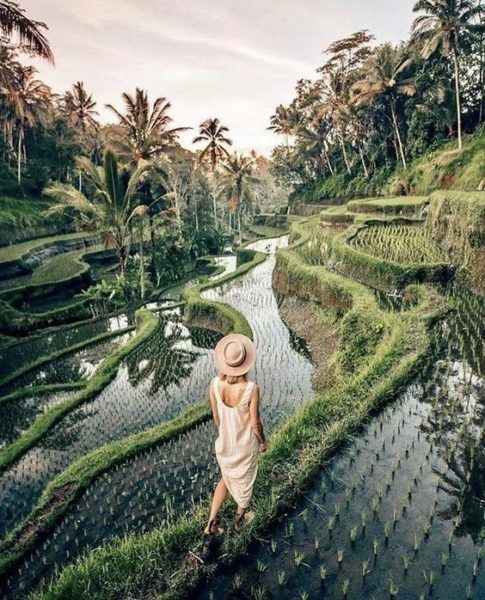 Since Bali is one of the most jaw-dropping tourist destinations in the world, there is no shortage of information (or photos) out there. See what you like, choose what cities to visit by looking at the photos and matching destinations to areas you’re interested in. Then you can set up a little map, connecting all the spots you want to experience, and see if it’s feasible. Reading Eat, Pray, Love won’t hurt either (Bali is the final “Love” section of the book, of course, and the author stays mainly in Ubud). Temples (the most popular being Uluwatu and Ulun Danu Beratan) for the traditional Indonesian architecture. The beach in Seminyak (for restaurants on the sand and lively entertainment) and/or the beach in Legion for surfing and shopping. The city of Ubud, and Monkey Forest. This landlocked area may not offer beach views, but the forestry and food is second to none. Gili islands (which technically aren’t part of Bali but just outside). It’s the best place for scuba diving, relaxing in a tree or taking in views of the sunset. But hitting all the top tourist destinations isn’t enough. Carve out a trip with your partner that captures all your favourite elements, and treat yourself. 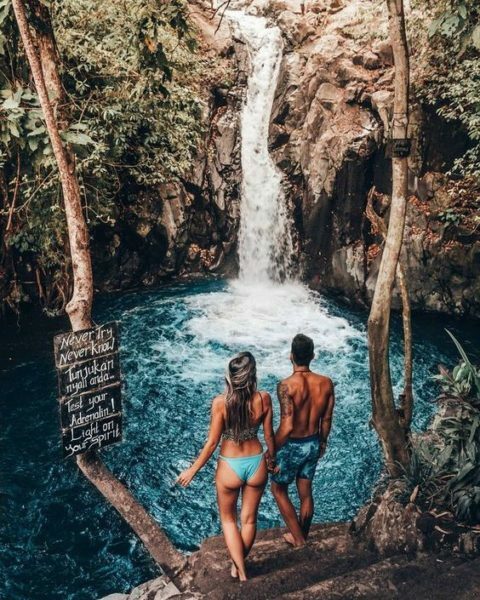 Food and accommodation in Bali will be cheap, so splurge on a private villa in Seminyak or take a bus out to visit the waterfalls. Whatever will make your trip more special, go for it! With a honeymoon in Bali, you can visit one of the most romantic and beautiful places in the world, all within budget. That’s why it’s the #1 honeymoon destination 2019!